Hotel Carlton, Prague. Carlton Hotel Prague. The Hotel Carlton is a magnificent four star hotel right in the heart of the exquisite city of Prague, in the Prague 3 Zizkov neighbour hood. 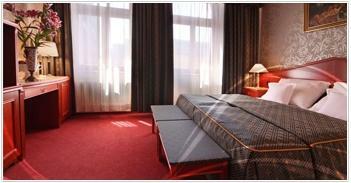 This location is very convenient for those who come to Prague for all of the sightseeing. The hotel was just remodelled and decorated in a tasteful fashion offering its guest all the amenities necessary for a comfortable stay in the historic city of Prague. It guarantees professional services and a magnificent setting, in the heart of the city.